Touch down in Portugal and visitors quickly become aware of the country’s many drawcards – from its charismatic capital to villages steeped in lore. Here, are a few lesser-known discoveries waiting to be found on the western edge of the Iberian Peninsula. When the beautiful town of Evora in Portugal’s Alentejo region began to suffer a shortage of space in the 16th century, local Franciscan monks came up with a novel answer. 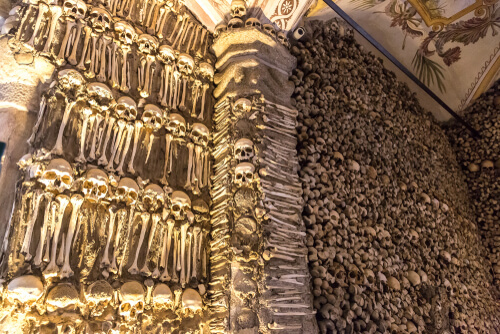 Thousands of bones from their crowded cemeteries were exhumed and relocated into the small Capela dos Ossos (Chapel of Bones), in a ghoulish display intended to remind the faithful of the fleeting nature of life. So warns the famed inscription at the chapel entry: Nós ossos que aqui estamos pelos vossos esperamos (we bones that here are, for yours await). Thankfully, Evora’s general appeal is less on the morbid side. Dotted with Roman and Medieval ruins, the history-packed town is also a lively university city and is often considered one of Portugal’s most underrated destinations. 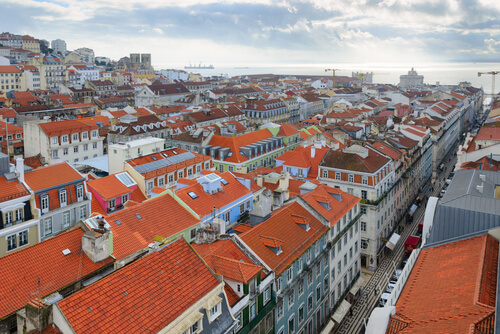 Visitors to the increasingly popular Portuguese capital Lisbon might notice a stark difference between the grandiose streets and buildings of central Baixa and the narrow, winding laneways of the historic suburbs flanking it. This stately suburb is, in fact, one of the earliest examples of earthquake-resistant city planning. Baixa was brought to life by the entrepreneurial Marquis of Pombal following the horrific earthquake that flattened much of this part of Lisbon in 1755. Dubbed Pombaline style, the reconstructions were as strategic as they were ambitious – exhibiting early anti-seismic designs and prefabricated methods that made Lisbon the envy of Europe at the time. 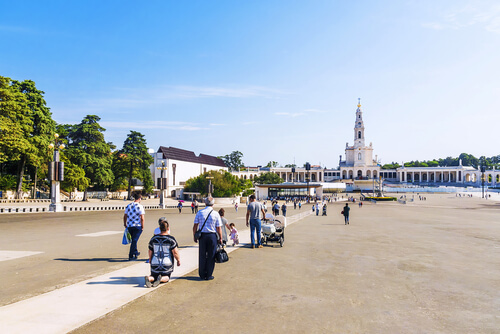 Attracting millions of believers every year, Fatima is one of the most significant Catholic pilgrimage sites in the world. It all began in 1917 when three local children herding sheep returned to the village with stories of a divine apparition of the Virgin Mary. Six months later, on October 13, 1917 – when the young seers had prophesied the Virgin’s return – a crowd tens of thousands strong gathered at the ordained place and claimed to see a spontaneous solar event known as the Miracle of the Sun. On the site, called Cova da Iria, now stands two minor basilicas which are alight with the glow of millions of candles during popular processions in May and October. An oft-forgotten chapter of the Iberian Peninsula is the long and prosperous reign of the Muslim Moors, a group who ushered in a golden age from Spain’s Mediterranean coast to Portugal’s Atlantic shores. While there are many remnants of the Moors left in Spain, the walled town of Mértola near the Spanish border is one of the few places in Portugal where the Moorish legacy survives. 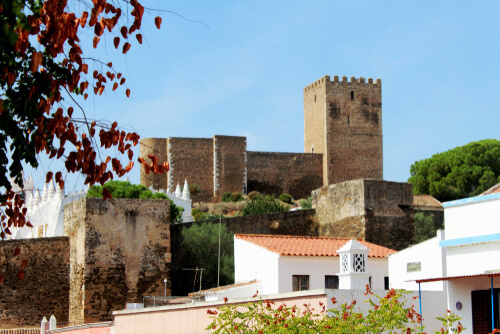 Dominating the small town is a fortified Moorish castle built in the 12th century on a hilltop overlooking the surrounding Parque Natural Vale do Guadiana. The former mosque, its distinctive architecture simply adapted into the church that replaced it, is an apt metaphor for the many different conquerors who changed the tide of Portugal’s fascinating past.